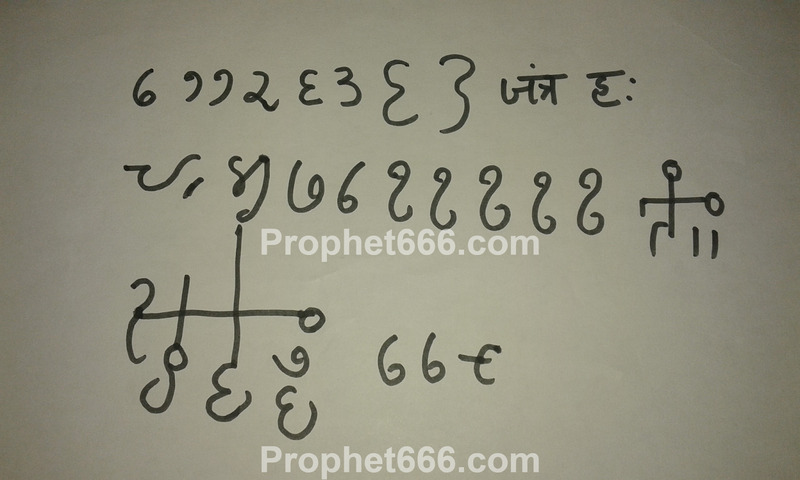 The Yantra described by me in this post is a most uncommon, unusual and peculiar Vashikaran Yantra, which has been attributed with the most powerful paranormal powers of making any woman, including your wife or girl friend come under your unbreakable love spell for life. This Vashikaran Yantra uses a very uncommon and weird method of casting the Vashikaran Love Spell on the wife or the girlfriend in order to bring her under a Atoot or unbreakable Voodoo Love Spell. Even though, this site is unable to guarantee the success of this Vashikaran technique, I will still explain the simple and uncomplicated procedure of making and using it in order to control and manage your wife or girl friend. There is no special Tithi or Shubh Muhurat or Puja-Vidhi prescribed in order to draw and use this Vashikaran Yantra for the purpose mentioned above. The Yantra can resemble the drawing of the Vashikaran Yantra prepared by me, which is shown below, however, it need not be an exact replica of the drawing. The Tantra has not recommended or prescribed any kind of ink for drawing the Vashikaran Yantra. However, it should to be drawn on your Lingam [the male creative organ] using any kind of edible and non-toxic substance, like Milk, which is not harmful for your health or the health of your wife or girl friend. A small pointed wooden stick can be used as the writing instrument or pen. Even though, there is no specific timing prescribed for drawing this Yantra, it is has to be prepared a short time before having physical relations with your wife or lover. This is a onetime Vashikaran Totka and should be used very carefully with firm determination and self-confidence. If used only for fun or just to see what happens, it will not work. 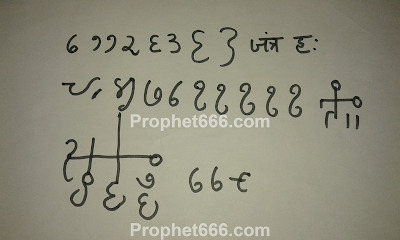 Notes- If anyone has used this Vashikaran Yantra or has knowledge about it, kindly share your experiences or information for the benefit of other readers.